We’ve already gone through our first week of the third quarter, and with each week we’re distancing ourselves more from that midway point. So I guess we can classify ourselves as over the hill and we’ll just gather momentum from here on out. 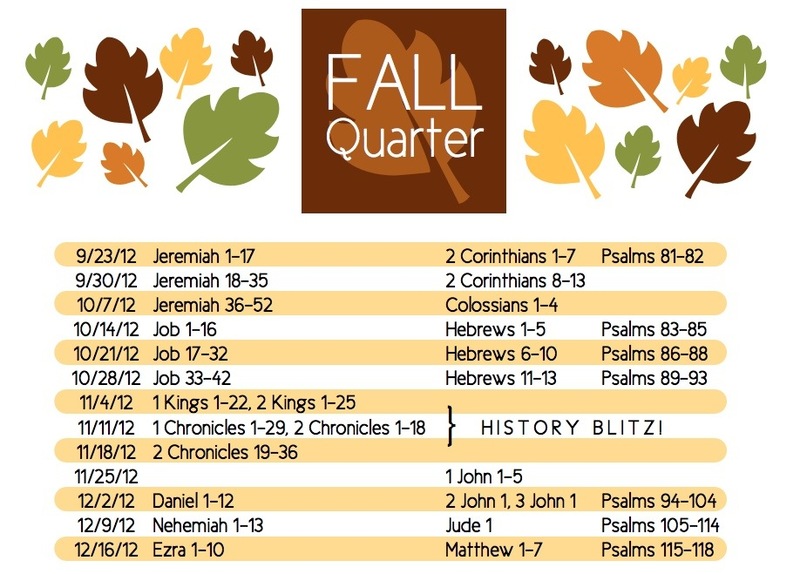 We finish out Corinthians and continue into Jeremiah this week, with a brief break from the Psalms. Before we completely cut ourselves off from last week, here’s a short paragraph I wrote back in school about 2 Corinthians 4, which is a bit of a strange passage about carrying around death in our lives. I share this partly because whenever I can use what I did in school after graduation, I feel like all that money was well spent. I hope my one paragraph is a tiny bit helpful, rather than more confusing. If it is the latter, I’ll use the excuse that I wrote it years ago. For we do not preach ourselves, but Jesus Christ as Lord, and ourselves as your servants for Jesus’ sake. For God, who said, “Let light shine out of darkness,” made his light shine in our hearts to give us the light of the knowledge of the glory of God in the face of Christ. The Church is not as some would see it as a holy body, a diamond amongst the rest of the rough world. It is not the pinnacle of humanity, instead from it is the best of human possibility. It is to be the pulpit from which the living Word of God is proclaimed. It is both pit and pinnacle; pit because it is human, pinnacle because it is a place of recognition of our guilt and of God’s mercy. The Church carries death, so that Christ’s life may be revealed. So I was talking with someone this morning in my small group about scripture memorization. It seems like that is something many do when we’re young, but as we get older it we stop. I wonder if subconsciously we think memorization like that is childish. When we do so, and the words dig their roots deep into us, God will use it to continue to shape us after the likeness of Jesus Christ. When such life-giving words saturate our minds our entire personalities will come under their influence. So in light of this, and in light of the conversation I had this morning in which I said I wanted to do something about it, I’m going to put up some verses on the right hand side of the site as memory verses. Every week we read many chapters, then we focus in on one passage during our focus passage, and now (if you’re so inclined) we can try to commit one even smaller selection to memory. Having just come home from our Review/Preview session for Quarter 2, I wanted to share a little. Unfortunately for you all, I cannot share the food we had. 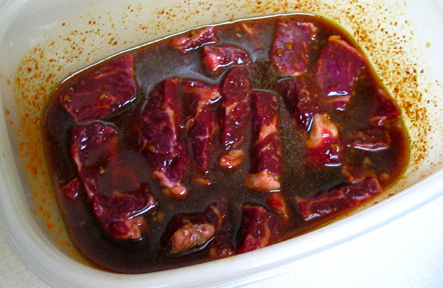 We enjoyed some fine BBQ from our neighborhood Q-Shack. I’d put money down that most everyone is still stuffed, especially because we had some delicious desserts brought in, as well. But enough gloating. We had a great time sharing our experiencing from the summer quarter, almost marveling at all we’ve read thus far. We’ve got a great quarter ahead this fall and to intro it, I’ve got a document to share. Someone else had this brilliant idea, so here are one sentence summaries of the many books we’ll be reading in the next few months. And skip to the end for a downloadable, one-page PDF. He was given the tough task of announcing the destruction of Judah, pointing out their sin, preaching for the repentance of the people, and holding out the promise that God’s faithfulness would remain. Job is described as a good man who lost everything, bringing up the question of how God can be just in light of human suffering.  Follows the line of David and the Kings of Israel and Judah from times of power and prosperity to their Babylonian exile, including the ministries of prophets like Elijah and Elisha. Another look at the history of God’s people, going back further than Kings, focusing on David and Solomon, perhaps with a particular concern for their restored community. A book by the exiled prophet Daniel in Babylonia that through his visions holds up a picture of a God who, even though Babylon has overthrown Jerusalem, is still sovereign over all kingdoms and powers. Thought to be written by same person (Ezra) that wrote Chronicles and Ezra, and details post-exilic life, with special attention to the rebuilding of the walls of Jerusalem. The return from exile and rebuilding of holy structures and restoring holy worship. Paul’s letter to Corinth and surrounding areas defending his own ministry and calling. Paul’s Letter to Colosse refuting heresy that had come into the church, comparing its insufficient philosophy to the complete supremacy and sufficiency of Jesus Christ. Letter addressed primarily to Jewish believers that teaches that Christ is the full and final revelation of God who surpasses the revelation seen in the Old Testament and fulfills the promises of the Old Testament in his new covenant. John, the apostle and author of John and Revelation, writes to battle false teachers and the Gnostic heresies, defending Christ’s bodily resurrection, and calling for love to be characteristic of the believers’ life. John gives further warnings about false teachers, encourages discernment in giving support, and commends Gaius for his hospitality. Another book with warnings for the church in regards to false teachers who have made their way among them. A gospel of Jesus Christ, perhaps mostly written to Jews, as Matthew’s gospel purposes to convince the reader of Jesus’ fulfillment of Old Testament scriptures and points to him as the Messiah. 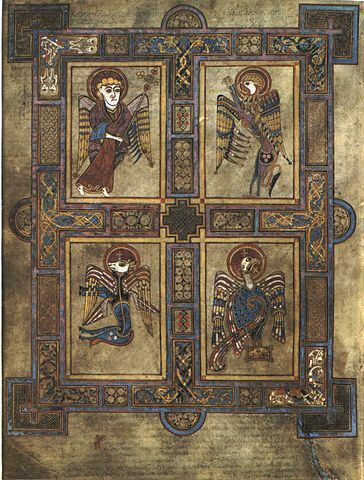 Image of Folio 27v, with the four evangelist symbols from the Book of Kells, a 1200 year old book. I was in a group tonight that was reading the beginning of Mark. Probably for all of us there it was re-reading this gospel. But even though it is familiar to us, God always can speak. His word is fresh and needs to be approached with the expectation he’ll still meet us there. We’ll never quite have all the answers, rather we are constantly in a place of need. We should be humble and open to the leading of the Spirit. If that is what God can do in a familiar passage, what do you think can happen with books of the Bible we know very little about? If there can be newness to familiar passages, what is there to learn from the more unfamiliar passages? We can easily pick up Jeremiah and think, “I don’t know anything about this!” This can lead to our being discouraged. But how much better to respond with an attitude of excitement. If we don’t know much, how much is there to explore? What will God speak to us? How can it be stale if we’ve never passed through these texts before? We may like familiar. We like what is known. Many really like routine and habit. But we need to have that adventurous spirit that gets excited when we encounter the unknown. Sure, we may feel out of our element with some of these books of the Bible, but that’s how we learn. Look at your Bible’s study notes (if you have them), search the internet for answers, call a friend and discuss, and even–if you’re desperate and grasping for straws–email me. When you get into these books, like Jeremiah, be excited for a new word from God, be expectant that he will speak, and embrace the perspective of “what can I learn?”. In it we see God’s sovereignty over creation and time. We find comfort being known by God, and that he knows us before we ever have a chance to seek him. Before we even have the ability to turn to him, he knows us. But it is great to look beyond this one line to see how this truth plays out. God wants his prophet Jeremiah to rely on God to fulfill his call. 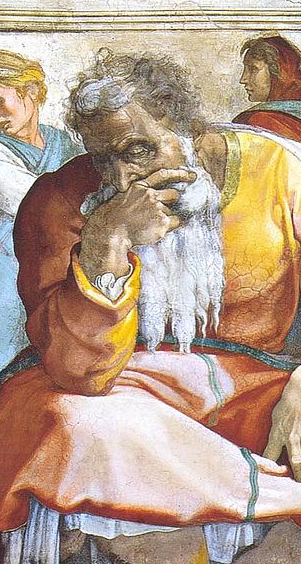 Jeremiah worries that he is only a youth, so how is he to be a prophet to the nations? But doesn’t he realize that God already knew that when he called him–he knew all things about Jeremiah before Jeremiah was even born. God says do not worry that you are young, for I will give you the words. Just follow my command. I will be with you. Verse nine even says that God will put the words in Jeremiah’s mouth. What then will he lack? If he is worried that he’ll have to go it alone, all Jeremiah should do is look back–God knew him before he was formed. And he can look ahead–God will continue to be with him. God has not left his side and will remain with him making him capable of the great work that is prepared for him. 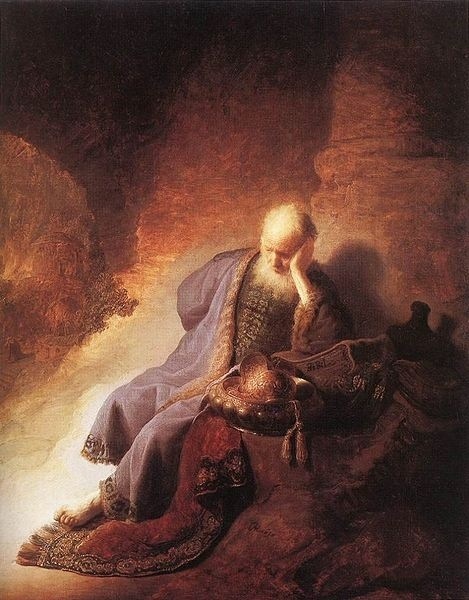 There is no time Jeremiah can think of or imagine in which God is absent from the picture. In a similar way that Jesus talks of Abraham in John 8, God could say here that before Jeremiah was, I am. God was by his side before he even had a side, before he had a body. Therefore Jeremiah can rely on this God who holds these plans securely in his own hands. He need not worry about what he may lack and instead focus on all that is perfectly provided by God. Maybe not in terms of page count, but chronologically we have made it the halfway mark. Gone are Spring and Summer quarters. Two down, two to go. This fall we’ll move from minor prophets to major prophets, continue with some history books, and tackle more letters from the New Testament. It is a great time to jump in. This reading plan isn’t the only one and I don’t claim it is even the best one. But reading with a plan is a good way to make sure you stick to it. Along with a plan I’ll recommend again finding someone or several someones to read with. It is better when we do it together. Here is this fall quarter’s plan if you want to print it out. Happy reading! I bet if you’re married, there is a very good chance that a certain passage from this week’s readings were a part of your wedding ceremony. 1 Corinthians 13 is a favorite passage for couples to use at their nuptials. Of course, I hope love is part of a marriage, so I don’t think it is out of place to use this passage. But given that this passage on love is so linked for many to weddings, we need to make sure we remember this scripture applies for all. Love is patient is not only for couples. You don’t have to be married for your love to rejoice with truth, bear all things, and not seek its own way. This chapter is lifted up as a goal for how we should love, but just don’t think it is the goal only in marriage. All Christians are called to follow the self-giving love of Jesus Christ, who even loved his enemies. It would be much easier if I only was called to love my spouse. Even still, I’d fail. But it’d be easier. But it is the more challenging way of disciples of Christ to hear this as a call for all of us to love our neighbors in a way that pushes us and requires great reliance on God’s Spirit. For we can do many amazing things, but if we have not love, we are nothing.